 Ruby APIs to work with business document cloud storage. Supports file & folder management tasks for popular cloud storage providers. GroupDocs.Storage Cloud is a REST API for performing different storage-related operations in applications and websites. The API comes with many storage-related features crucial to organizations, including support for default GroupDocs storage along with 3rd party storage services. 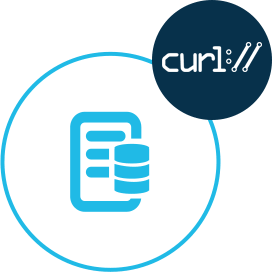 The API supports HTTP requests and gets responses in form of JSON or XML data. Hence, any language or platform which supports the HTTP requests and responses is capable of running the API. 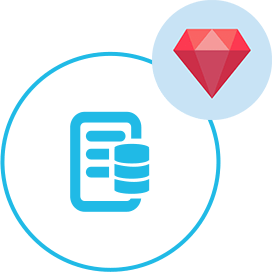 We have build SDK for Ruby which allows you to work with GroupDocs.Storage Cloud REST APIs in your Ruby applications quickly and easily, with zero initial cost. If you do not want to use any of our SDKs or the required SDK is not available at the moment, you can still easily get started with GroupDocs.Storage REST API while using your favorite language & platform. It is easy to get started with GroupDocs.Storage Cloud as there is nothing to install. Simply create an account at GroupDocs Cloud and get your application information. Once you have the App SID & key, you are ready to give the GroupDocs.Storage Cloud REST API a try with any language - on any platform. Our storage API for Cloud applications supports a number of operations related to dealing with files. //Get your AppSID and AppKey at https://dashboard.groupdocs.cloud (free registration is required). GroupDocs.Storage Cloud API is completely independent of your operating system, database system or development language. You can use any language or platform that supports HTTP to interact with our API. However, manually writing client code can be difficult, error-prone and time-consuming. Therefore, we have provided and support API SDKs in many development languages in order to make it easier to integrate with us. If you use the SDK, it hides the REST API calls and lets you use the features of the API in a native way for your preferred language. GroupDocs Cloud goes beyond limitations and acts as a kind of Gateway between a Developer and the Cloud Storage of his users. This will allow you to write your Application once, and we'll take care of both the File Formats and also letting you support many different Cloud Storage platforms through a single consistent interface.